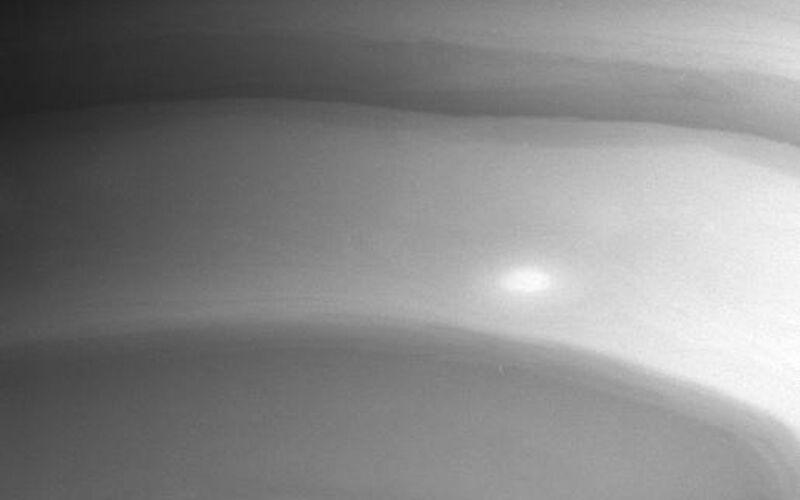 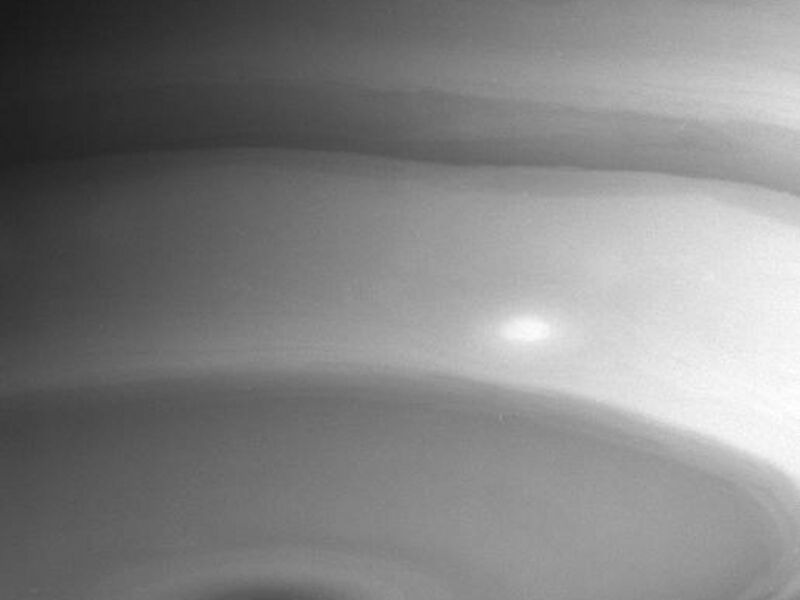 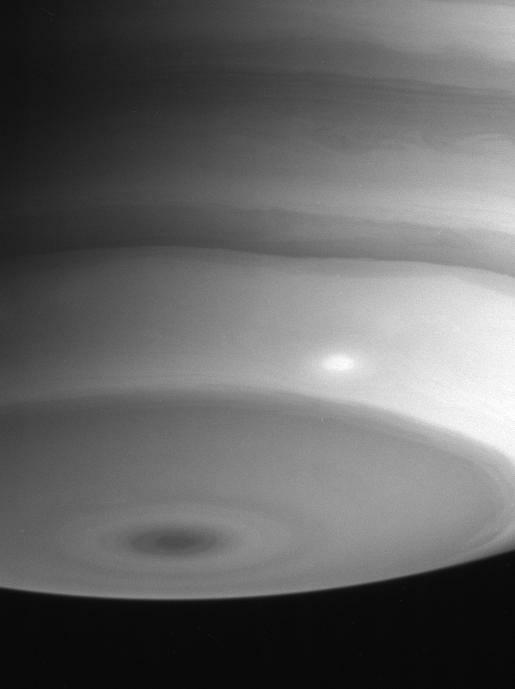 Wavy cloud bands in Saturn's atmosphere near the south pole show a great deal of delicate structure and contrast and even a bright storm in this view from Cassini. The image was taken with the Cassini spacecraft narrow angle camera on Aug. 18, 2004, at a distance of 8.9 million kilometers (5.5 million miles) from Saturn through a filter sensitive to wavelengths of infrared light. 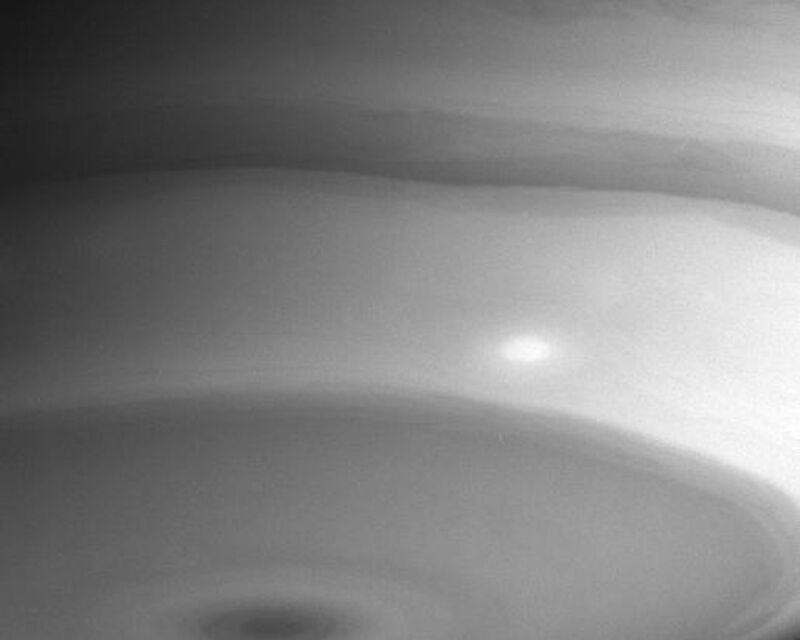 The image scale is 53 kilometers (33 miles) per pixel.